In some countries, there are special regulations concerning Home Brewing. In Bulgaria, there are lows concerning homemade brendy and wine for private consumption, but nothing for beer. 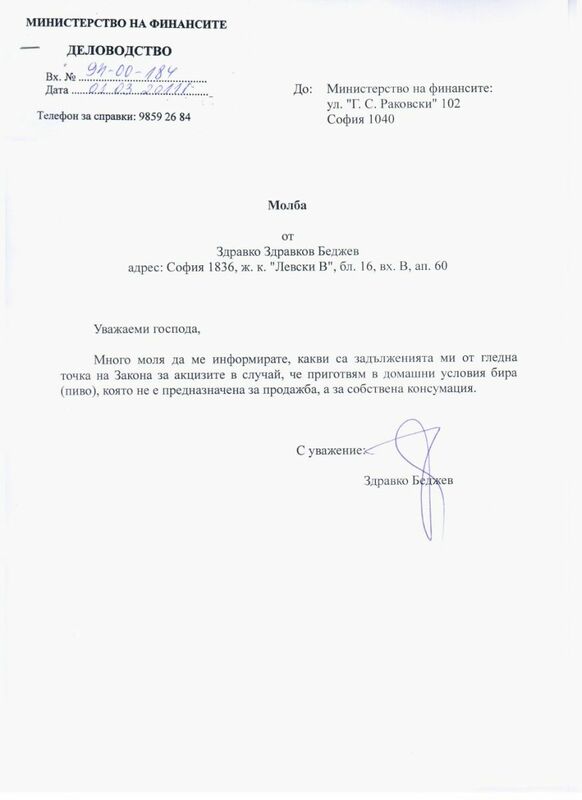 There is still no respomce to my letter lodged in the Ministry of Finance on 01.03.2011. You can see the letter here.